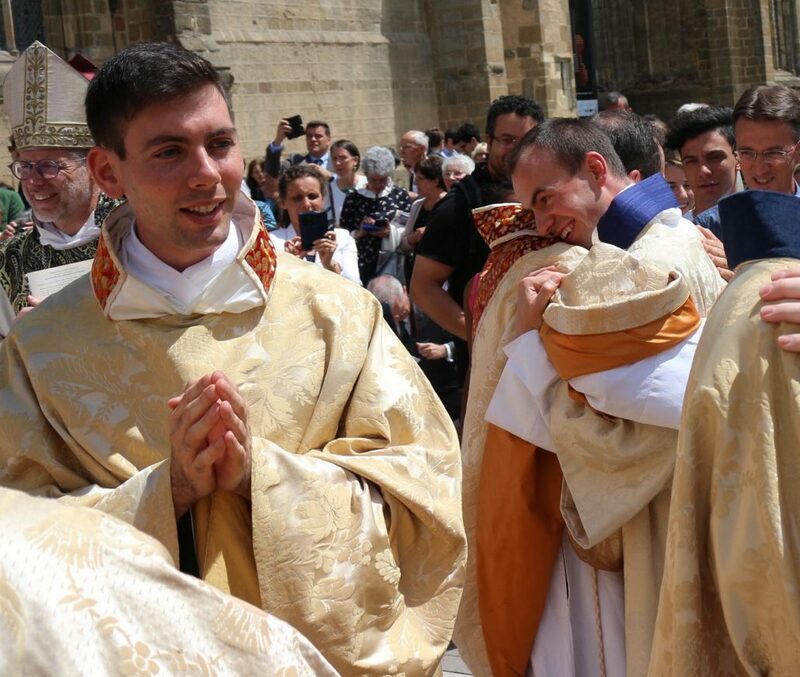 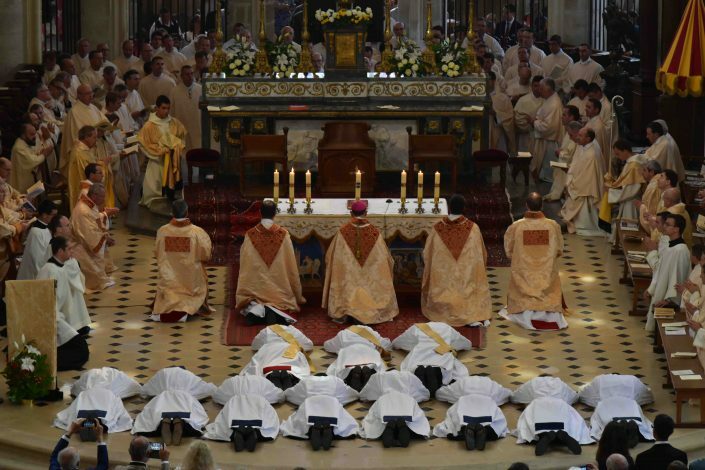 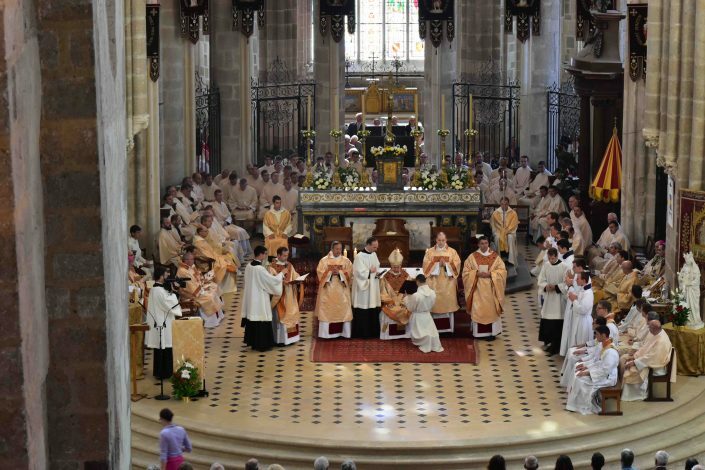 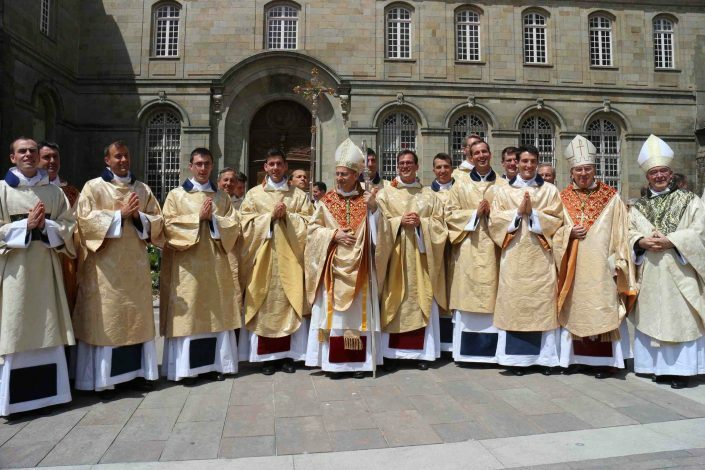 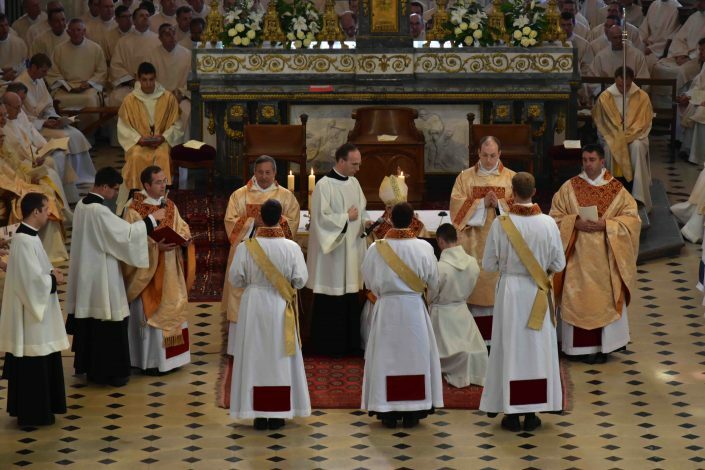 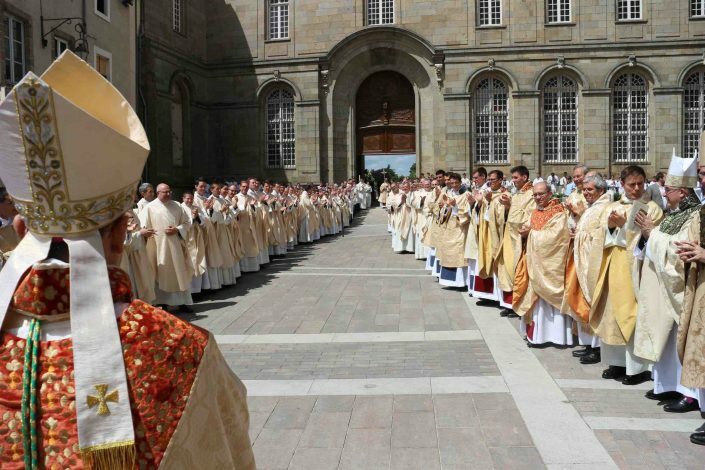 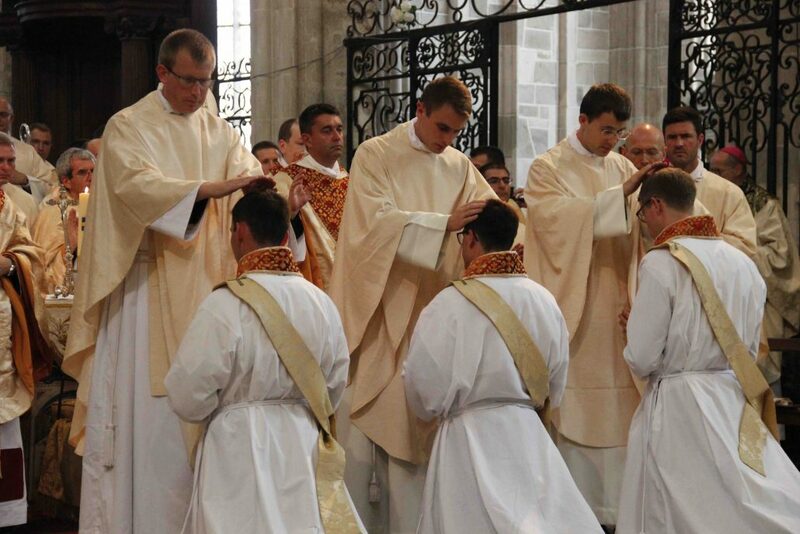 On June 24th 2017, three new priests and eight new deacons were ordained for the Community of Saint Martin by Mgr Thierry Scherrer, bishop of Laval. 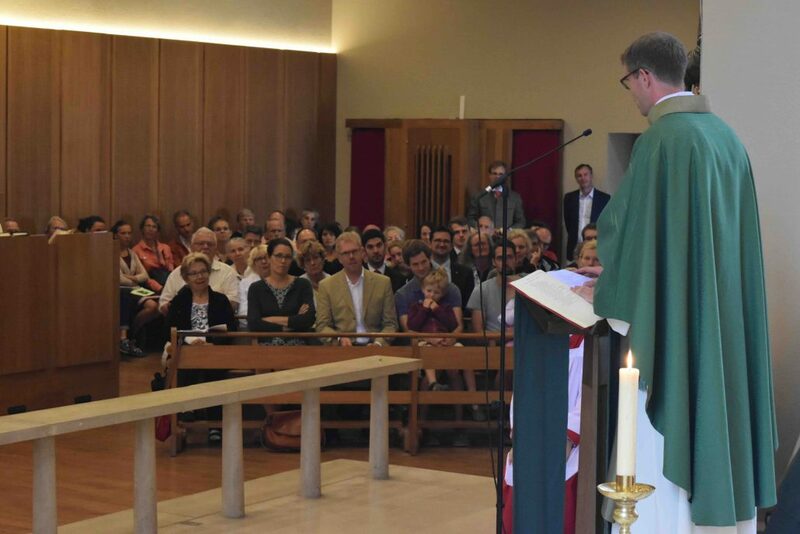 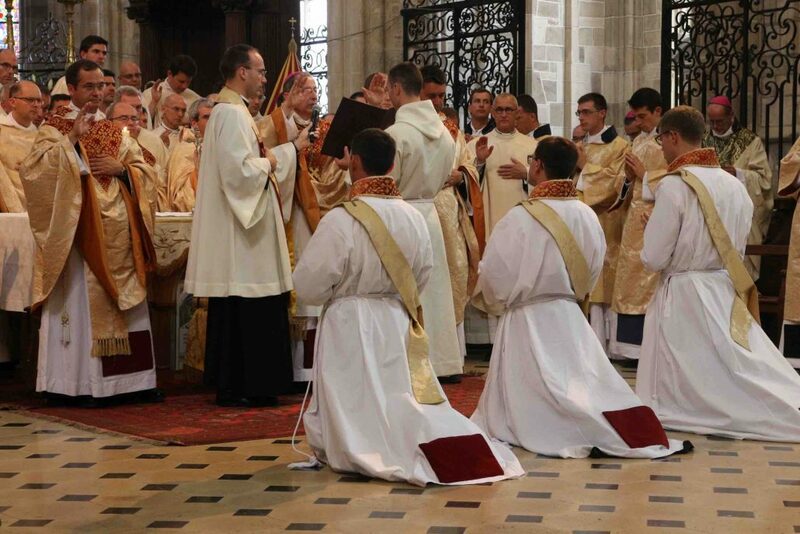 On June 24th, Mgr Thierry Scherrer, bishop of Laval, has given us the honer of conferring the ordination of three priests and eight deacons who were presented to him by don Paul Préaux, General Moderator. 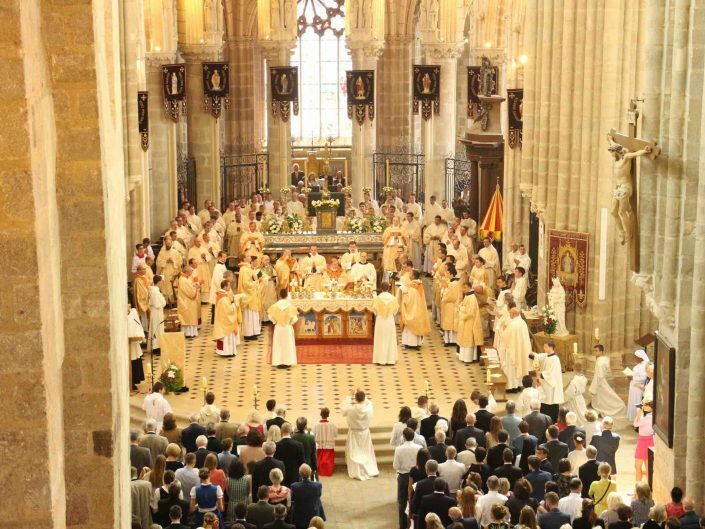 For this solemn celebration in the basilica of Notre-Dame de l’Épine, we were honoured by the presence of Mgr Luigi Ventura, apostolic nuncio in France, of Mgr Rubén Darío Ruiz Mainardi, First Advisor of the nunciature in Paris, of Mgr Francis Bestion, bishop of Tulle, of Mgr Jacques Habert, bishop of Séez, of Mgr Renauld de Dinechin, bishop of Soissons, of the Most Reverend Fathers Philippe Piron, abbot of the Abbey of Saint Anne of Kergonan, Mario A. Aviles, general procurator of the Oratory of Saint Saint Philip Neri, Felix Selden, delegate of the Holy See to the Oratory of Saint Philip Neri ; of Mgr Didier Boulay, general vicar of the diocese of Blois, representing Mgr Batut and of Father Eric Millot, general vicar of the diocese of Dijon, representing Mgr Minnerath. 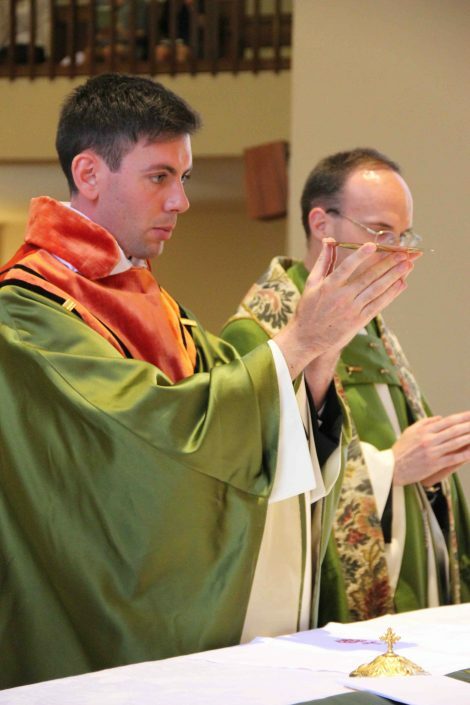 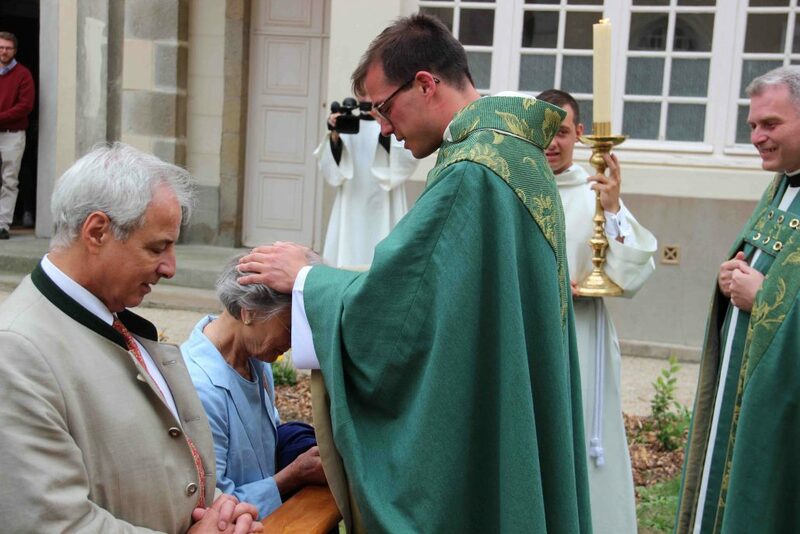 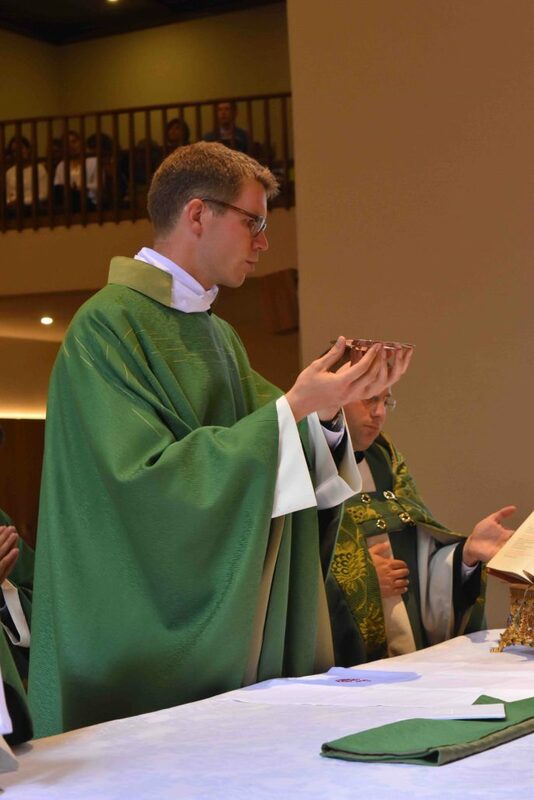 Et don Phil Schulze Dieckhoff, 29 years, native of Aachen (Germany), priest appointed to Fayence. 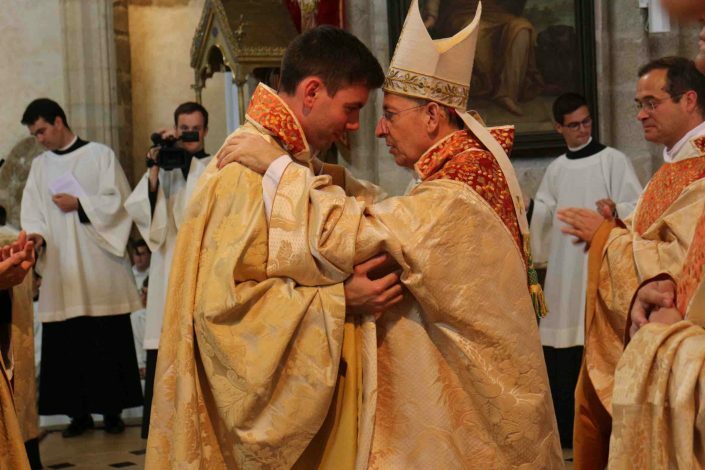 François-Xavier Pecceu, 27 years, native of the Paris region, deacon appointed to Puy en Velay. 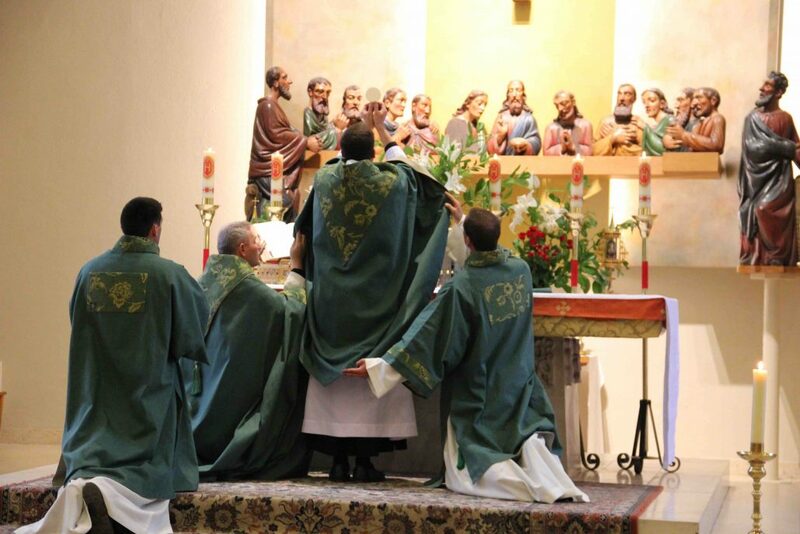 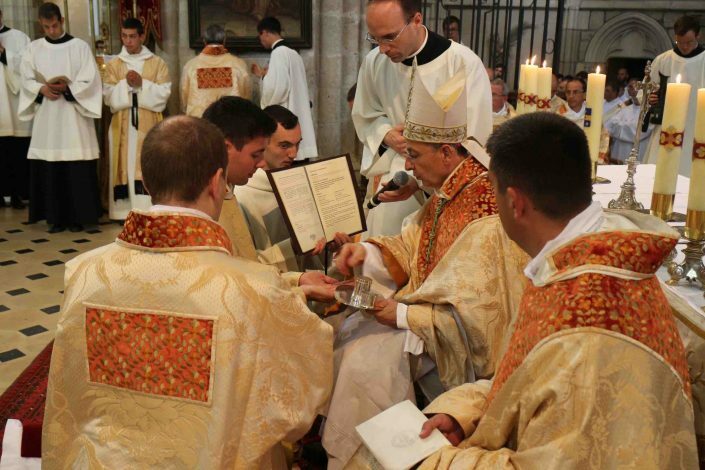 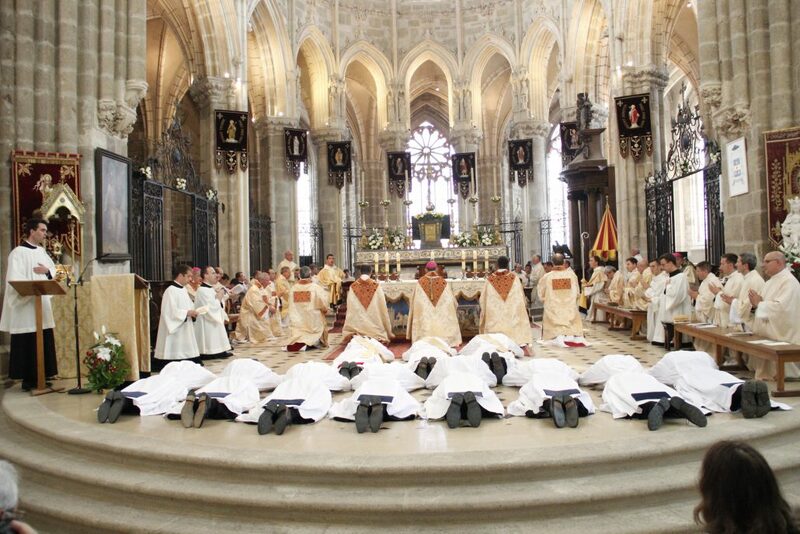 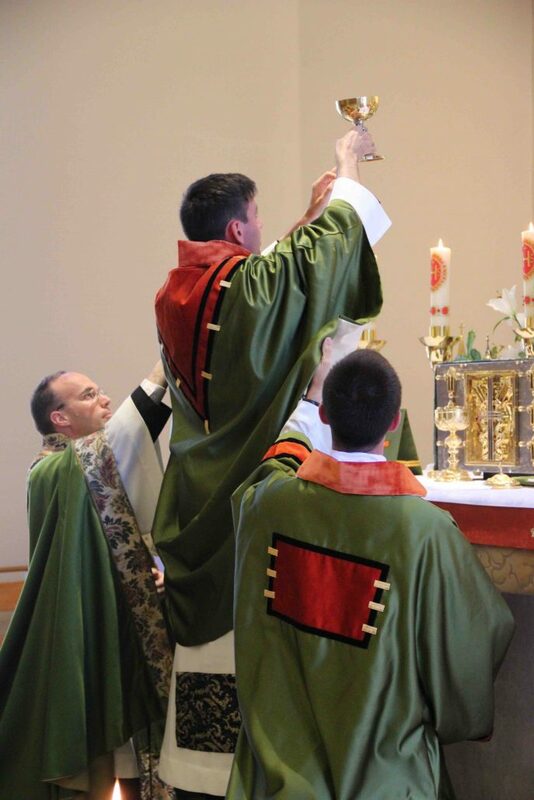 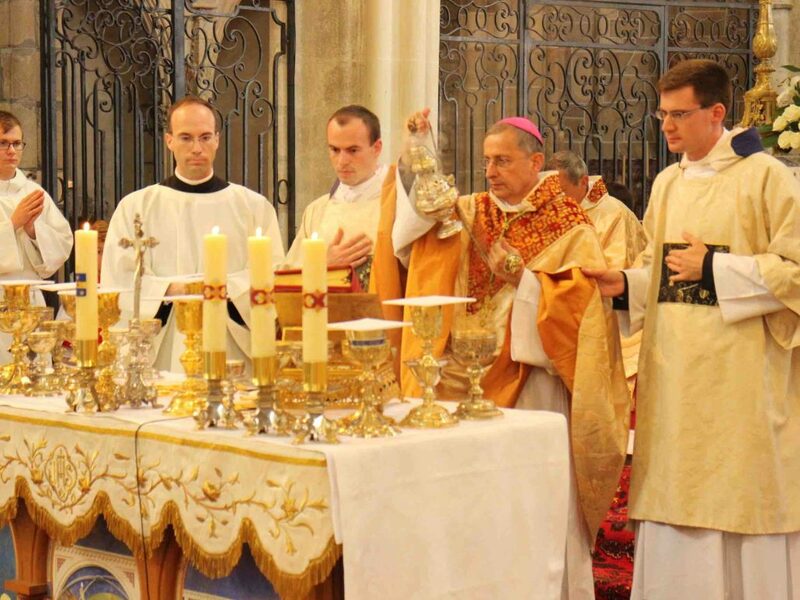 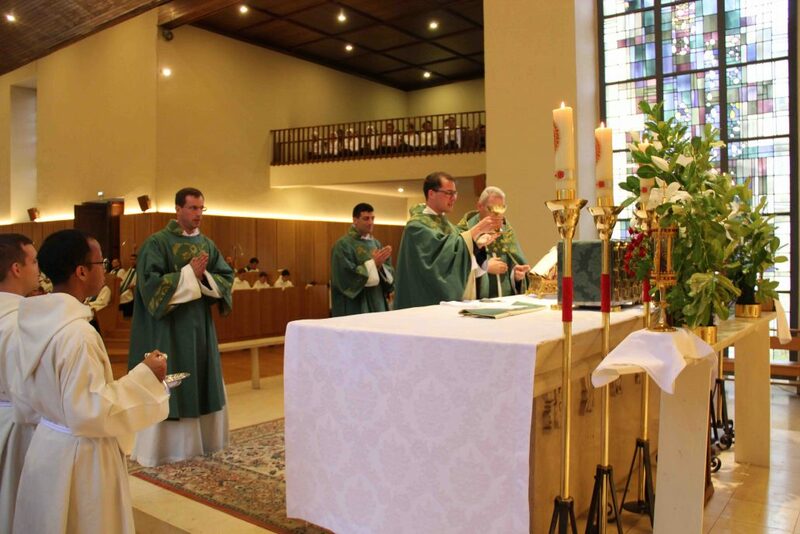 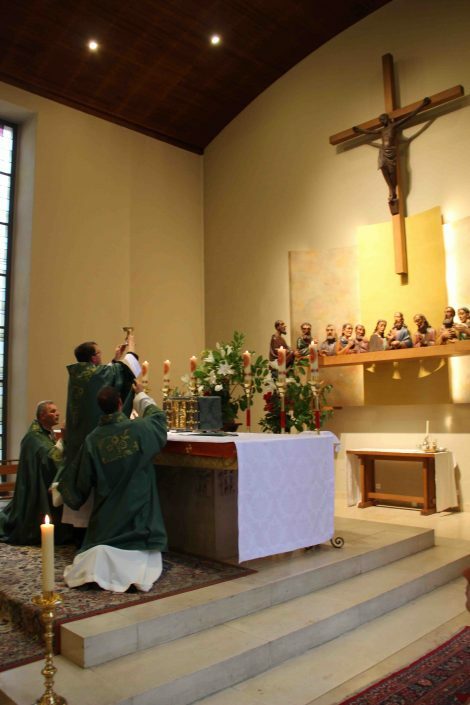 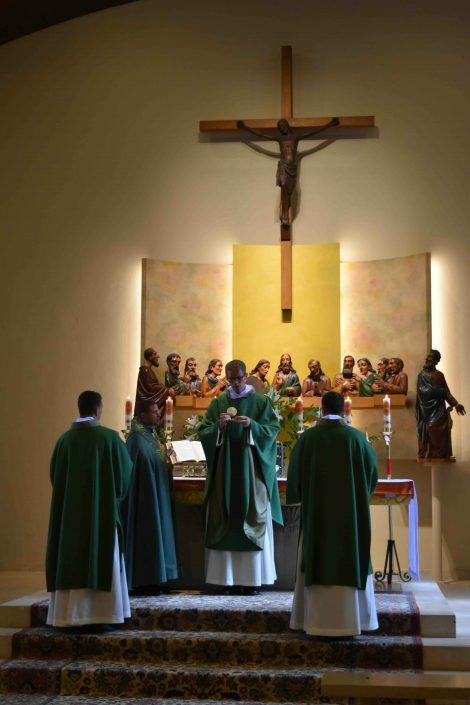 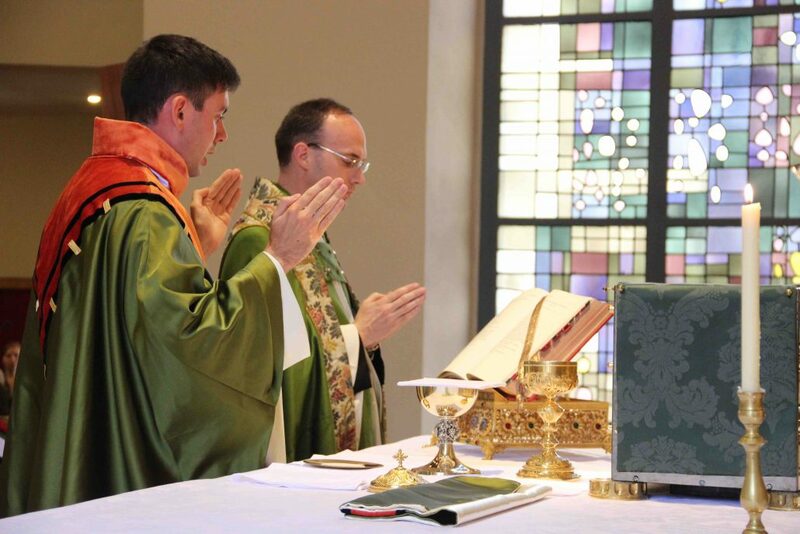 The day after, each new priest celebrated, not without emotion, a first Mass in the presence of their close ones. 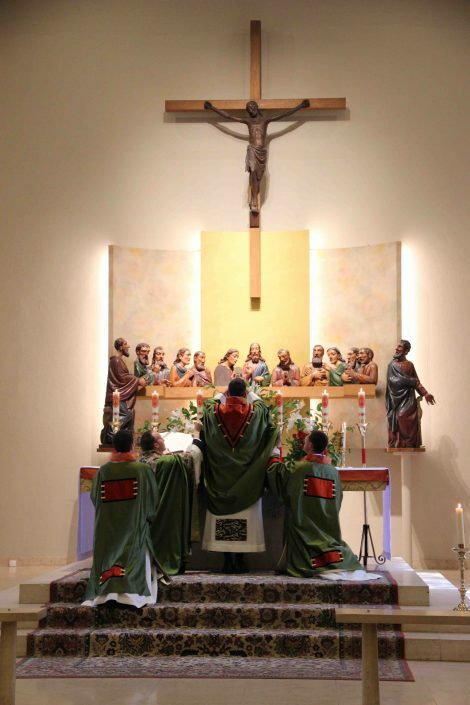 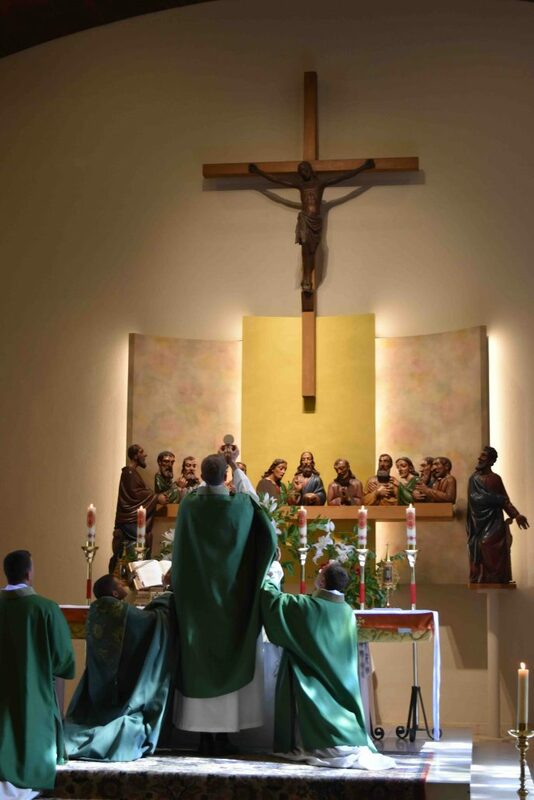 Afterwards, they began their tours of first Masses, in order to give thanks for the formation years and entrust their priestly ministry to the Lord. 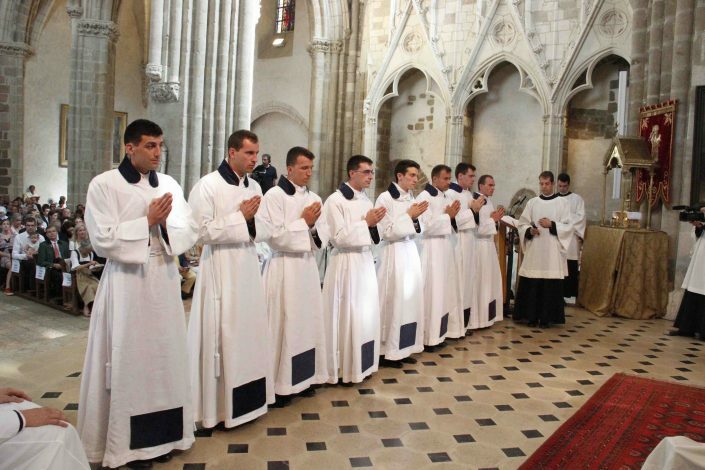 Let us give thanks to God for the gift of the priesthood and continue to keep these young priests and deacons in our prayer!